As an AP teacher, I originally thought the AP exam would have been the most fitting capstone for our final day of class—a great way to sum up the year, allow students to demonstrate their mastery of environmental science, and give them the satisfaction of knowing that when they’re done, they’re done. Just like college, when you set down that pen at the end of the final. In reality, it doesn’t work out that way. Following our exam, I still have two weeks with my seniors before graduation. It’s too long to show movies every day, and it’s too short to squeeze in another full unit. And they were burnt out. I was burnt out. They were ready for college. Then I had an epiphany. My seniors weren’t as ready for college as they could be, and I still had two weeks! I had two weeks to help them develop the problem-solving skills they would need to succeed in college and beyond. Many teachers have even longer with their students after exams and before the end of the school year. When I shifted my focus from preparing students for an end-of-course exam to further developing their problem-solving skills for any STEM class, I realized how perfect the Spark 101 resources are for doing the job. The lessons and videos are engaging and fun for burnt-out standardized test survivors. (Trust me, if they work on high school seniors, they will work for your students!) 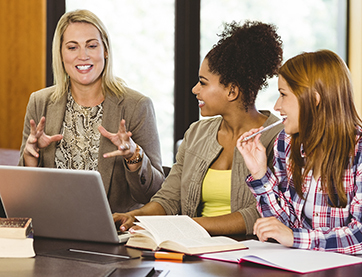 They channel pre-summer chatter into productive cooperative, problem-solving group work, and best of all, they help develop reading, writing, communication, and problem-solving skills vital for college (and next grade level) success in a variety of fields. With lots of videos available and more posted regularly, Spark 101 has something to offer for every course. If you’ve already used Spark 101 a lot this year, you can expand your search because you aren’t as tied to content as you were before the test. Choose something engaging and exciting that matches your students’ hobbies or career interests, and tweak the lesson plans to focus on the high-leverage skills your students need the most.